Magnesium sulfate can be used to suppress preterm labor, preventing or delaying preterm birth for several days. Magnesium sulfate can help protect the fetal brain before the onset of preterm birth, lessening the risk of hypoxic-ischemic encephalopathy, cerebral palsy, and other brain injuries. The uses, administration, risks, and indications for magnesium sulfate use during pregnancy will be discussed in detail below. How Does Magnesium Sulfate Treat Preterm Labor? Preterm labor, or labor beginning before 37 weeks of gestation, increases the risk of birth complications and injuries as compared to babies born at term. Magnesium sulfate is a tocolytic, a medication used to suppress preterm labor, and can be used to help slow or inhibit contractions to delay the birth of a preterm baby. Magnesium sulfate lowers the amount of calcium in the uterine muscles which, in turn, encourages muscle relaxation. The use of magnesium sulfate to prevent or delay preterm birth can give medical professionals the time they need to prepare a preterm baby for the stress of the delivery process. During this time, physicians may administer prenatal steroids like betamethasone, which acts as a neuroprotector and helps the baby’s lungs develop in preparation for life outside the womb. In order to prevent or delay preterm labor, magnesium sulfate should be administered at a dose of about 6 grams, over a span of 15 to 30 minutes. Each hour a maintenance dose of 2 grams should be administered. How Does Magnesium Sulfate Protect the Fetal Brain? Magnesium sulfate can also be used to protect the fetal brain before premature birth. Because premature babies are at increased risk for injuries like HIE and cerebral palsy, neuroprotective agents like magnesium sulfate can be administered before birth in order to reduce the risk of these injuries. Studies show that when a very preterm baby is exposed to magnesium sulfate before birth, the incidence and severity of cerebral palsy and severe motor dysfunction is significantly reduced. When a premature birth is expected to occur within 24 hours, magnesium sulfate should be given to women if indicated, whether or not their membranes have ruptured. A 4 gram dose should be given to begin, and then each hour a 1 gram maintenance dose will likely be administered. If physicians are trying to prevent preterm labor (tocolysis) concurrently, indomethacin should be used because other tocolytics may have adverse side effects when used in conjunction with magnesium sulfate. Research shows that these adverse events may occur due to unfamiliarity with safe dose ranges and signs of toxicity, inadequate patient monitoring, incorrect preparations of the drug, wrong administration technique, and mix-ups between magnesium sulfate and oxytocin. When physicians are skilled and careful with magnesium administration, these side effects are very uncommon. With regard to the baby, magnesium freely crosses the placenta, so the concentration of magnesium in the baby’s cord blood is about the same as the concentration in the mother’s blood. A slight decrease in fetal heart rate and variability may be observed, but this is not clinically significant. The potential benefits of magnesium therapy should outweigh the potential risks. Magnesium therapy is not advised when the mother has myasthenia gravis (a neuromuscular disease), compromised heart function, or heart conduction defects. Since magnesium is eliminated by the kidneys, mothers with impaired kidney function may develop magnesium toxicity at the usual infusion doses. Thus, maintenance dosing must be adjusted or eliminated for these women. Doctors should closely monitor urine output, deep tendon reflexes, and other reactions to prevent magnesium toxicity. The maintenance phase of treatment should be continued only if a patellar (knee) reflex is present, breathing rate exceeds 12 breaths per minute, and urine output exceeds 100 mL in four hours. If your baby or child has cerebral palsy, HIE, or another birth injury due to mismanaged premature birth, contact Reiter & Walsh ABC Law Centers. The award-winning lawyers at Reiter & Walsh have helped dozens of children affected by birth injuries. 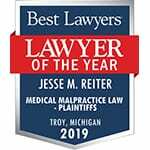 Jesse Reiter, the firm’s president, has been focusing on birth injury cases his entire legal career, and most of Jesse’s cases involve helping children who have cerebral palsy, hypoxic-ischemic encephalopathy (HIE), and more. 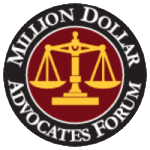 The birth injury lawyers at ABC Law Centers have won numerous awards for their child advocacy and are members of the Birth Trauma Litigation Group (BTLG) and the Michigan Association for Justice (MAJ). To find out if you have a case, contact our firm to speak with an experienced lawyer. We handle cases all over the United States. Marret S, Doyle LW, Crowther CA, Middleton P. Antenatal magnesium sulphate neuroprotection in the preterm infant. Semin Fetal Neonatal Med 2007; 12:311. Nelson KB, Grether JK. Can magnesium sulfate reduce the risk of cerebral palsy in very low birthweight infants? Pediatrics 1995; 95:263. Schendel DE, Berg CJ, Yeargin-Allsopp M, et al. Prenatal magnesium sulfate exposure and the risk for cerebral palsy or cognitive impairments among very low-birth-weight children aged 3 to 5 years. JAMA 1996; 276:1805. Grether JK, Hoogstrate J, Walsh-Greene E, Nelson KB. Magnesium sulfate for tocolysis and risk of spastic cerebral palsy in premature children born to women without preeclampsia. Am J Obstet Gynecol 2000; 183:717. Paneth N, Jetton J, Pinto-Martin J, Susser M. Magnesium sulfate in labor and risk of neonatal brain lesions and cerebral palsy in low birth weight infants. The Neonatal Brain Hemorrhage Study Analysis Group. Pediatrics 1997; 99:E1. Crowther CA, Hiller JE, Doyle LW, et al. Effect of magnesium sulfate given for neuroprotection before preterm birth: a randomized controlled trial. JAMA 2003; 290:2669. Marret S, Marpeau L, Follet-Bouhamed C, et al. [Effect of magnesium sulphate on mortality and neurologic morbidity of the very-preterm newborn (of less than 33 weeks) with two-year neurological outcome: results of the prospective PREMAG trial]. Gynecol Obstet Fertil 2008; 36:278. Rouse DJ, Hirtz DG, Thom E, et al. A randomized, controlled trial of magnesium sulfate for the prevention of cerebral palsy. N Engl J Med 2008; 359:895. Doyle LW, Crowther CA, Middleton P, et al. Magnesium sulphate for women at risk of preterm birth for neuroprotection of the fetus. Cochrane Database Syst Rev 2009; :CD004661. Costantine MM, Weiner SJ, Eunice Kennedy Shriver National Institute of Child Health and Human Development Maternal-Fetal Medicine Units Network. Effects of antenatal exposure to magnesium sulfate on neuroprotection and mortality in preterm infants: a meta-analysis. Obstet Gynecol 2009; 114:354. Doyle LW, Crowther CA, Middleton P, Marret S. Antenatal magnesium sulfate and neurologic outcome in preterm infants: a systematic review. Obstet Gynecol 2009; 113:1327. Bain E, Middleton P, Crowther CA. Different magnesium sulphate regimens for neuroprotection of the fetus for women at risk of preterm birth. Cochrane Database Syst Rev 2012; 2:CD009302. American College of Obstetricians and Gynecologists Committee on Obstetric Practice, Society for Maternal-Fetal Medicine. Committee Opinion No. 455: Magnesium sulfate before anticipated preterm birth for neuroprotection. Obstet Gynecol 2010; 115:669.